Stop, drop, roll. We are taught this fire safety technique as children. However, as an adult, if you are property manager or a business owner, you will need to know more fire prevention instructions. One thing you can educate yourself about is the different types of commercial fire alarm systems, what their advantages are, and which model best suits your commercial property. 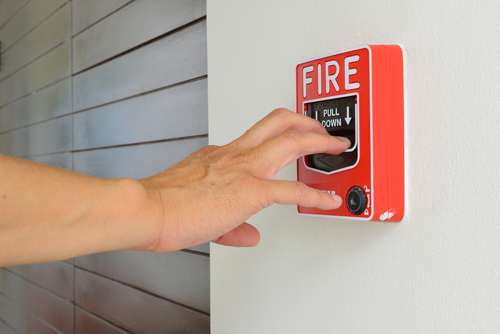 When choosing the right type of fire alarm for your commercial property, consider the size of your building, its location, and what level of service you require. It is also important to let your commercial fire alarms systems provider know what type of product or service you are offering. For instance, restaurants, with their commercial kitchens, have the highest potential for fire of any structure. Thus, if you are a restaurant owner or manager, you will need a more extensive and elaborate fire alarms system installed especially for your kitchen. There are two categories of fire alarm systems. Manual systems entail an individual physically activating the alarms placed in critical locations around the building by pulling the levelers. On the other hand, automatic systems alert everyone in the building and send a notification to the fire monitoring service as soon as a fire is detected. As the name implies, addressable fire alarms installed in this type of system is given its own unique address within the building. Addressable fire alarms placed throughout the property are all connected to the central control panel. Additionally, this type of system allows you to see which alarm detected the fire, directing first responders to the area. The addressable fire system also has a feature that lets you regularly monitor if your alarm is working or not. Conventional fire alarms can either be automatic or manual. They segregate the commercial property into different sections or “zones.” Each of these areas gets separate alarms that are all connected to the main control panel, similar to the addressable systems. Conventional fire alarms let you monitor different parts of your building to detect where the fire will originate. These hybrid alarms merge the segregated zones feature of conventional fire alarm systems with the addressable functional loops of addressable fire alarms into one, single panel. These combined features fit some of the fire prevention settings better than just using either the conventional or addressable systems. It’s crucial for any property owners and managers to always fulfill their fire safety responsibilities. And establishing a sound and concrete fire prevention plan with highly functional commercial fire alarm systems is one of the most critical tasks. However, keep in mind that commercial fire prevention doesn’t start and end at alarms installations. Working with a trusted and reputable fire alarm company is also an essential responsibility. The professionals can adequately test and regularly inspect your systems, so you can be sure that they work when you need them the most.